SALT LAKE CITY. December 18, 2017. 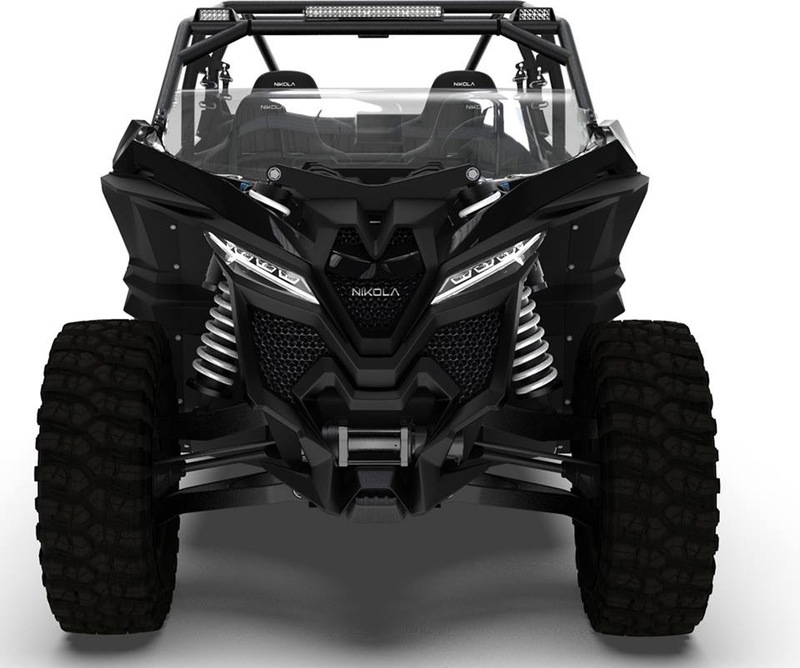 Nikola Powersports today released a video of its highly anticipated electric UTV. 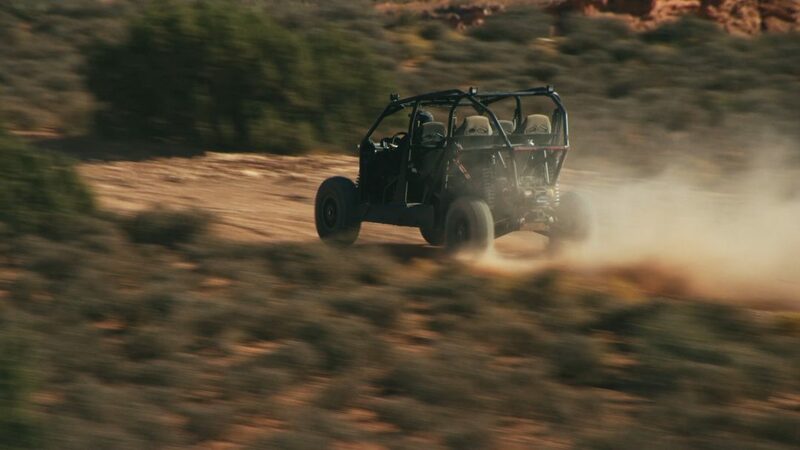 The cinematic video showcases a mysterious, unidentifiable UTV running the paces against the 2017 CanAm Maverick X3 Turbo and 2017 Polaris RZR 1000 Turbo. It outperforms them and reveals its Nikola identity in the end. The Nikola UTV is an all-electric, 4X4, 400-volt plug-in, IP 67 waterproof, off-road vehicle with options up to 590 HP and 722 ft. lbs. of torque before gear reduction. 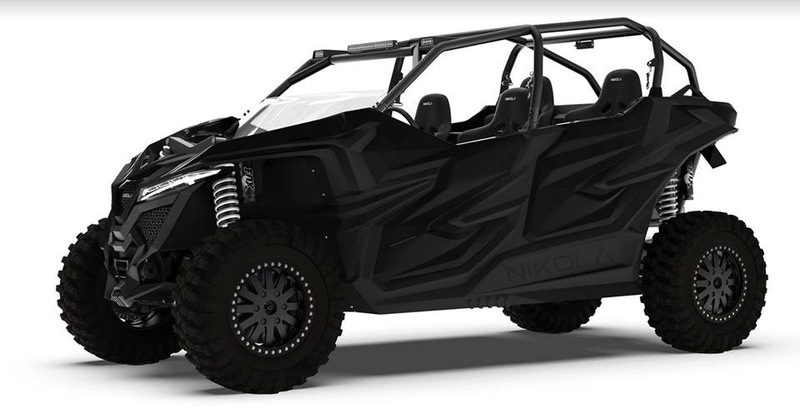 Named “Nikola Zero” in development, the UTV has now been formally named Nikola NZT to reflect the updated design and performance in preparation for production. Nikola has expanded the NZT lineup to include four models; NZT 440, NZT 352, NZT 280 and NZT 198. The numbers represent the kW output of the UTV, with the NZT 198 starting at only $28,900 and coming in at 2,300 lbs. Reservations for all models are now open and require no deposit. Existing reservation holders that have made deposits will receive a refund and maintain their position in line. “Nikola is refunding all existing deposits. Many other companies are using customer deposits to fund their operations, but Nikola is not one of them. Customers can now reserve their Nikola NZT with no money down,” said Jordan Darling, Nikola Powersports vice president. “The UTV market has been waiting for a product to change the standard on performance and capability. Nikola Powersports is delivering an astonishing product that will change the future of off road vehicles,” Darling added. The UTV will have three battery options: 75kWh, 100kWh and 125kWh capable of 90-150 miles of range in off-road conditions. The average off-road UTV driver travels less than 25 miles per day. Production for the NZT will begin in the fourth quarter of 2018 with deliveries to dealerships for Spring 2019 sales. Options and features can be found on www.nikolapowersports.com. Nikola Powersports is a division of Nikola Motor Company dedicated to the powersports industry for both land and sea vehicles, run by Vice President Jordan Darling. Nikola Motor Company designs and manufactures electric vehicles, vehicle components, energy storage systems, and electric vehicle drivetrains. NMC is led by its visionary CEO Trevor Milton (twitter: @nikolatrevor). For more information, visit nikolamotor.com, Facebook: Nikola Powersports, Instagram: @Nikolapowersports, or Twitter: @nikolamotor.